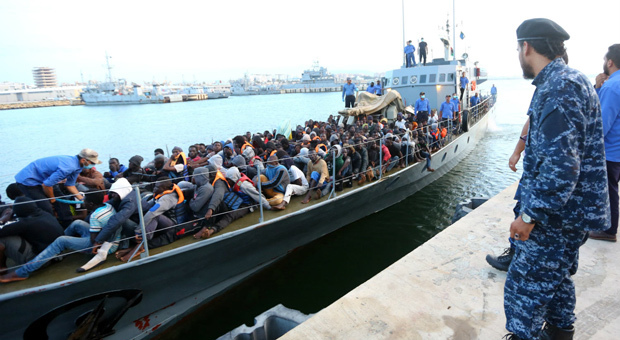 Macron and Salvini bumped heads over globalism and mass immigration during the Mediterranean migrant crisis. Di Maio said France and Italy's politics "has become deaf to the needs of citizens who have been kept out of the most important decisions affecting the people." Macron and Salvini do however have a noted rivalry and history of public name-calling. 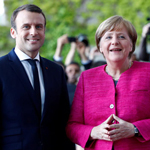 The pair often argued over globalism and mass immigration during the Mediterranean migrant crisis. Abbandonare degli immigrati in un bosco italiano non può essere considerato un errore o un incidente. 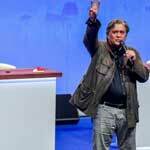 Quanto successo a Claviere è un’offesa senza precedenti nei confronti del nostro Paese, e mi chiedo se gli organismi internazionali, a partire dall’Onu fino all’Europa, non trovino “VOMITEVOLE” lasciare delle persone in una zona isolata, senza assistenza e senza segnalazioni. Chi erano questi immigrati? Da dove venivano? Perché sono stati abbandonati? E ancora: per la civile Parigi è normale scaricare delle persone nei boschi? Perché i francesi parlano di “gendarmi che non conoscevano la strada”, se poi il furgone è rientrato nel proprio paese a gran velocità e senza esitazioni? Andremo fino in fondo. Siamo di fronte a una vergogna internazionale, e il signor Macron non può far finta di nulla. Non accettiamo le scuse. 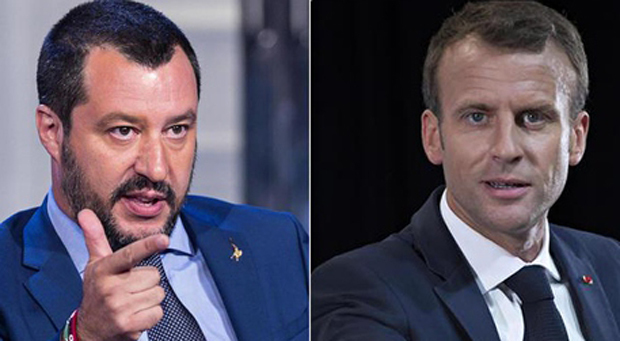 Salvini called Macron and “international embarrassment” last October after police were caught dumping migrants off in an Italian forest near the country's border. 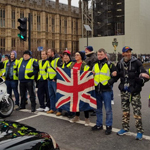 Even French police forces are being urged by union bosses to down their batons and shields in solidarity with the Yellow Vests, triggering a new wave of "Blue Vest" protests against President Macron's globalist government. The uprising of law enforcement could lead to civil war in France should the police go head-to-head with the government. Police unions have warned of a "black day for the police" that will come in the form of "Blue Vest" protests against the liberal French president's administration. 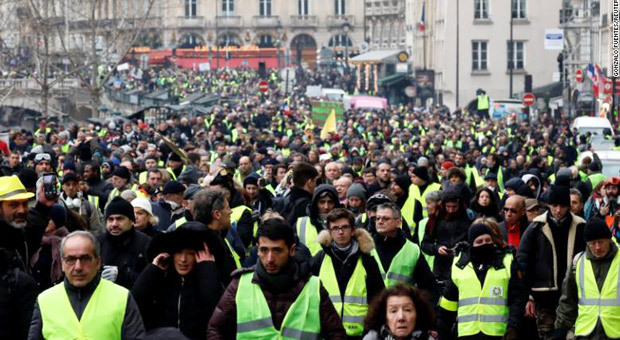 Almost 50,000 French citizens took to the streets in protest across France over the weekend following President Emanuel Macron's recent warnings to take a "hard line" against Yellow Vest protesters. 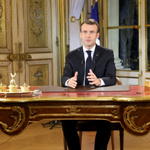 Macron's resolution to take a "tough stance" towards the demands of his people seriously backfired. 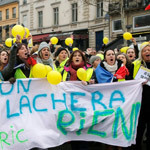 Tens of thousands of yellow-vested demonstrators paraded across cities throughout France, including Paris, Bordeaux, Toulouse, Rennes, and Marseille. Although the protests were organized to pick up again after the holidays, with many referring to the series of January marches like the "Yellow Winter," tensions have been raised after Macron lashed out at the Yellow Vests, calling them a "hateful mob" of "racists."